All was working well. 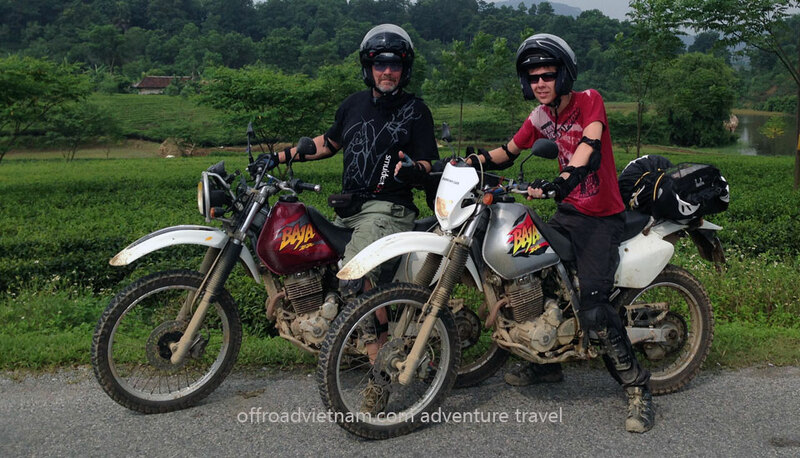 I suggest that you make scarfs or even better “bandanas” with your logo (Offroad Vietnam) for costumers to buy. Most people would want one – also as a souvenir. As we had requested, we came to experience the real Vietnam – including some genuine homestays. We got to meet the nicest Vietnamese people. Friendly and professional organization. Thanks for your help (at no charge) taking us out of Hanoi traffic the first day. Our guide “Lee” was extremely friendly and professional. We had the feeling of being looked after 24/7. He was always helpful, honest, positive and professional. We could not have asked for a better person. We got the value for our money – we got exactly as we were promised. No surprises, no extra costs. Very satisfying. We believe that you should offer tours with a start and finish outside Hanoi – maybe close to the airport. The Hanoi traffic might scare some costumers away. Outside Hanoi, the trip is safe, beautiful and easy. In the city, we felt a bit scared. Mr. Jens Peter Andersen is willing to provide more details to Danish speaking customers. If you want more advice from Mr. Jens Peter Andersen just contact us.